"The true measure of any society can be found in how it treats its most vulnerable members." For over 90 years DHHA has served the poor, sick elderly in the Denver area. 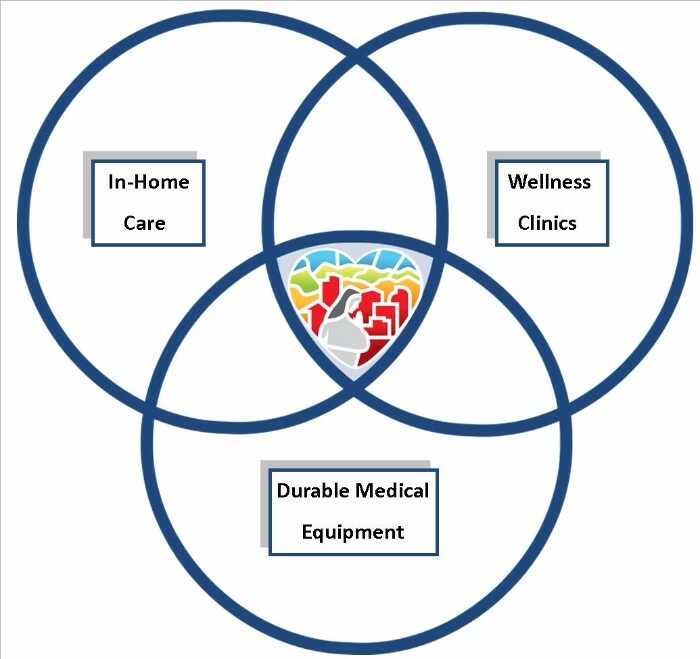 Our three major thrusts include In-Home Care, Wellness Clinics and loans of Durable Medical Equipment (DME). This morning we received a call from a woman desperate for help. Her insurance company was a dead end; she was confined to a wheelchair, living alone, and pleading for a solution other than a nursing home. Fortunately for her, DHHA is one of the few agencies in the United States that provides in-home care and health-related services to the poor, sick elderly. Today is a busy day at DHHA, loaning out wheelchairs and walkers and whatever Durable Medical Equipment people need for the unforeseen crises they face. The loan is free for everyone, supported only by equipment and financial angels. People living in poverty have direct access to these holistic clinics where they live. With loving hearts and a smile, our nurses and volunteers melt their worries and help them resolve their physical and psychosocial problems. We provide service to who needs it most when it matters most -- without charge.